Dodge County Police Dispatch - 920-386-3726 - Option 4. The Neosho Rubicon Ashippun Police Department offers services at low cost to the taxpayers of the Town of Rubicon, Village of Neosho, and Town of Ashippun. The organization is the poster child of intergovernmental cooperation in rural areas. The department is a part time police department with one staff member operating most of the time. This part time police force is made up of full-time law enforcement agents from other agencies. The officers are employed part time by the N.R.A. and we as taxpayers get to take advantage of their professional training. This is very advantageous to our towns as police departments can be quite expensive. NRA Jurisdiction: Within the Townships of Rubicon and Ashippun. Providing services for the Villages of Neosho, Rubicon, Old and New Ashippun and Alderly. 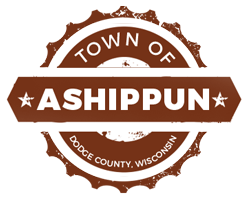 If you have administrative needs for the Neosho/Rubicon/Ashippun Police Department, you can call (920) 625-3284, and leave a message. A duty officer will get back to you. The Neosho/Rubicon/Ashippun Police Department put into place an email address that provides a convenient way for individuals to privately and directly communicate with the NRA Chief of Police. Assist with questions and concerns. Provide information to help keep our community safe. Emails are confidential and viewed by the Chief of Police. Provide a distribution list to communicate important public safety issues. All emails will be viewed and responded to by the Chief of Police. This should not be used for Police emergencies or to file a complaint upon which you need immediate Police assistance. If you want to be part of this public safety information program, please send your email address to: [email protected] This is voluntary. Your emails are confidential and will not be released.